On average, national broadcasting was 98% Ukrainian. In a year after the adoption of the law setting the language quotas on air, the volume of Ukrainian-language content on ther nation's TV channels averaged 98%, which exceeds the set quotas by 23 percentage points, head of the National Council for Television and Radio Broadcasting Yuriy Artemenko, said as quoted by Interfax-Ukraine on Tuesday. "Over the transition period, all Ukrainian TV channels fulfill the conditions set by the law. On average, the proportion of programs that formally fall within the programs in the state language (including the broadcast of domestically produced shows in Russian) was 98%. In the meantime, average indicator of the actual share of the Ukrainian language on television is at 86 % against 75% required by the law", Artemenko said. The broadcasting watchdog monitoring included Ukrainian-language programs and films that were fully voice-overed or dubbed in the state language; subtitled in Ukrainian, advertising, announcements; as well as the share of the Ukrainian language in bilingual programs. 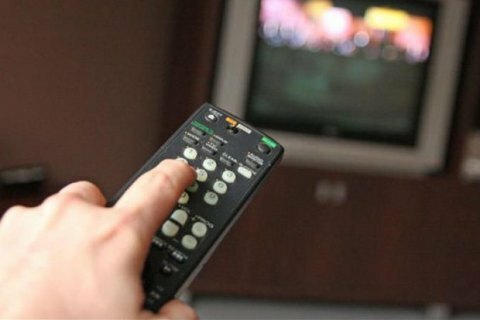 Since the imposition of language quota, the number of domestically-produced TV shows has doubled and is expected to become 100% Ukrainian by the yearend. The largest amount of programs in Russian was shown by TV channels Inter and Indigo – 63% each while UA:First has not broadcast Russian-language programs at all. According to Artemenko, the six-week monitoring covered the 6 thousand hours of airtime broadcasting on 36 national satellite TV channels. The National Council plans to complete the monitoring 19 thousand hours of airtime on of 210 regional and local TV channels in there stages next year.